Fourteen-year-old Kaz Adams just wants to read comic books and spend every day with Aisha Warren. And maybe get up the nerve to ask her out, if Kaz turns out to be a gender that Aisha’s into. Kaz had always expected to be targeted for gender nonconformity, but loving Aisha opens Kaz’s eyes to the prevalence of racism in their town. Trouble is, none of the other white people are seeing it, even when Kaz points it out. By the time they reach sophomore year, Aisha is fighting on all fronts and their school system is crushing her. Kaz’s gender expression was something the two of them could tackle together in private. The issues Aisha is up against are different and there’s no place they can hide. 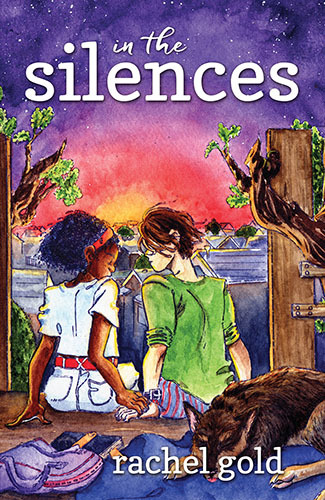 Kaz can’t magically undo centuries of systemic racism—but must find a way to change minds at school and among their friends before Kaz loses the sweetest, smartest, comic-book-reading girl in the world.